Samsung recently launched the Galaxy A7 (2018) smartphone, a device that came with a triple setup camera on its rear. 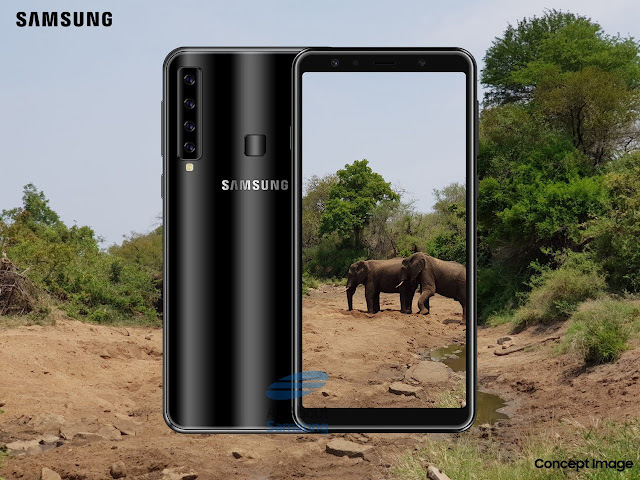 Not long after the launch of the Galaxy A7 device, rumours had it that the South Korean might be preparing to launch another device, but this time, with a quad camera setup at the rear. According to a German website called All About Samsung. A website known for leaking specs and details about up coming Samsung products, said the rumoured device will be unveiled as Samsung Galaxy A9s. Details revealed by the German website shows that the device will be fueled by a Snapdragon 660 chipset coupled with 6 GB RAM. The device will come with an inbuilt storage of 128 GB, and of course, there will be a microSD card slot for additional storage. The Galaxy A9s will come with a 6.28-inch AMOLED screen, an Infinity Display with Full HD+ resolution of 2200 x 1080 pixels, and an aspect ratio of 18.5:9. The focal point of this device is the quad camera setup. The quad camera setup includes a 24-megapixel main sensor with f/1.7 aperture, a 5-megapixel depth sensor with f/2.2 aperture, an 8-megapixel wide-angle lens with f/2.4 aperture and a 10-megapixel sensor with f/2.4 aperture and 2x optical zoom. Other specs includes a 3,720mAh battery, a USB-C charging port with 2.0 quick charge, and the device will arrive with Android 8.1 Oreo pre-installed. This device is expected to be released by Samsung on 11 Oct, 2018 during their 4X Fun event. Lets just keep our fingers crossed and wait if it eventually gets released.